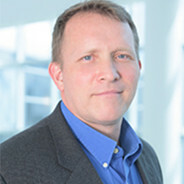 Jeffrey R. Stout, Ph.D., FACSM is currently a Professor, and Director of the BS, MS and PhD programs in Sport and Exercise Science at the University of Central Florida. Dr. Stout is a Fellow of the American College of Sports Medicine, Fellow of the National Strength and Conditioning Association (NSCA), past President of the International Society of Sports Nutrition and Vice President of the NSCA. Dr. Stout has published over 225 research studies, that have focused on nutrition, exercise performance, muscle function and body composition in young and elderly populations. Furthermore, he has co-authored and co-edited 8 books and 8 book chapters on sports nutrition and body composition. Currently, Dr. Stout enjoys mentoring his graduate students who help to manage the various research activities in the Human Performance Laboratory.